Acquiring or installing an app that allows you to play a game, which makes you challenged is the best feeling that you can ever hope to have. You have been probably looking for an app that is user-friendly and allows you to get a feeling of what it is like to travel in time and play classic American games that especially involved cards. Games that involve cards normally require high skills and experience to defeat an opponent. The player has to master accuracy, speed, and concentration to be a worthy player. Grand Gin Rummy app is an application that offers you a chance to prove, harness and improve your skills in playing cards. This app provides you with an opportunity to play in the five-star hotel atmosphere of the 1920s with real people. The environment provides a perfect ground where the players can relaxingly play their games with ease. The app has friendly features that ensure that you understand the game easily and compete favorably. To make it easier for starters to play the game, the app has a practice mode to teach the player basic techniques of the game. As a beginner, you do not have to struggle to orientate yourself since it is not hard to follow through the various techniques. Once you acquaint yourself with the game through the practice mode, you proceed to the other three modes namely, classic, Oklahoma, and quick modes. Another feature that makes this app impeccable is its ability to make the game more engaging. 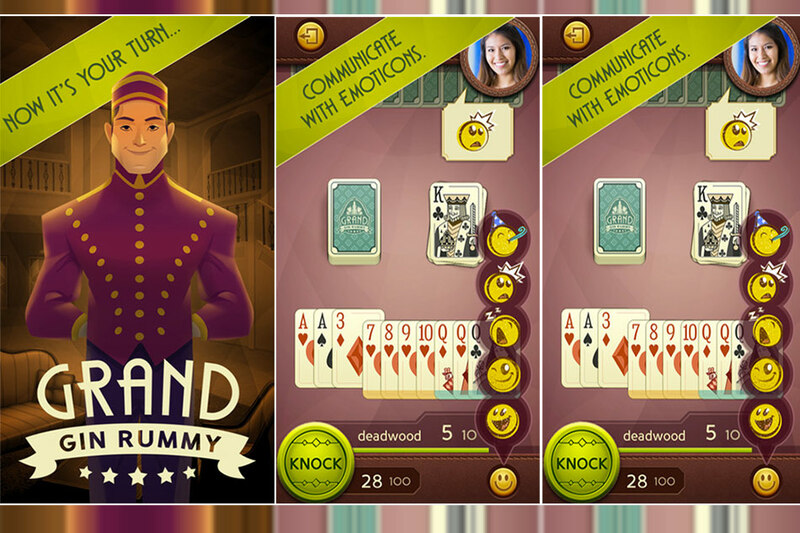 Grand Gin Rummy game allows you to invite friends through social media such as Facebook. The bonus given daily for the winners ensure that there is continuous rewarding of efforts of best players and stimulates them to play even more. Being able to play anywhere at any time is an advantage that Grand Gin Rummy has maximized. You can play this game both online and offline. You do not have to have internet access irrespective of your geographical location. However, you need the internet to upgrade the game. Other features that make this app friendly is the presence of a community of enthusiastic players and beautifully designed graphics. The atmosphere created by the hotel and the beautiful cards make the game amazing. • The game is convenient since the player can play it online and offline. The Grand Gin Rummy is an exceptional game that improves the user’s skills. Its performance is remarkable especially when updated. If you are a player that likes challenging games then Grand Gin Rummy is your choice game.